The majority of pre-workout supplements are made for strength training. 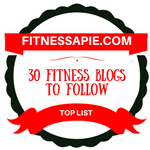 They revolve around ingredients like Creatine and Betaine. However, there are products that aim to improve endurance as well. These are going to be the best options for cardio. The pre-workout supplements for cardio will deliver many benefits. The first benefit will be increased energy. Ingredients like Caffeine can boost your energy levels, which is the first step in getting motivated for aerobic exercise. 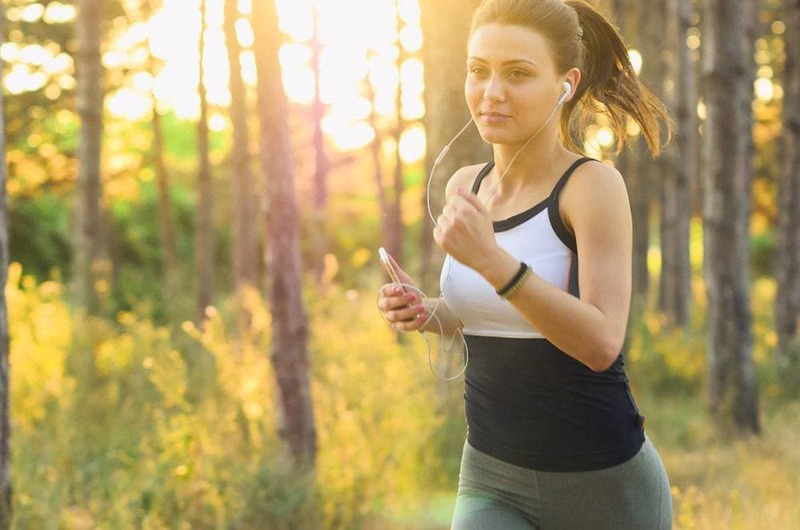 Increased energy levels can lead to improved performance and an increase in your VO2 max. The second benefit is the focus that comes along with consuming a pre-workout. There are ingredients like Tyrosine that can boost your motivation, concentration, and even your mood! This makes for a great addition to a pre-workout, especially before cardio. Sometimes it can be hard to wrap your head around performing Cardio, so ingredients that can help you focus increase your chances of following through. The third benefit is increasing your performance. Ingredients like Beta-Alanine are known to increase endurance capacity when used properly. Improving your performance can be a great motivator, since you’ll see the improvements workout to workout. This will help keep your accountability up. It’s hard to stay motivated if you never see improvements! Should You Take A Pre Workout Before Cardio? The answer to this isn’t as simple as you may think. On one hand, it’s an obvious benefit to use a pre-workout to boost your performance and energy levels. 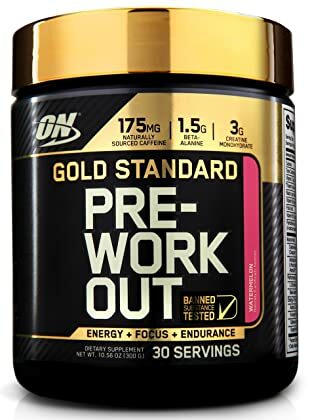 On the other hand, it’s very easy to become reliant on the effects of pre-workout, which makes it almost impossible to perform without using one. The best thing that you can do is take a pre-workout on days where you are lacking motivation more than normal. Or, if you didn’t get enough restful sleep, you might want to use one. 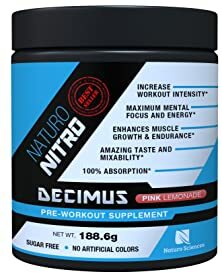 The pre-workout for Cardio will boost your motivation and performance, so only use it when you need it the most is a great way to not get addicted to their effects while still utilizing them properly. If you do cardio 3 times a week, maybe you should only use pre-Workout 1-2 time. Using it before every workout will make you build up a tolerance to ingredients like Caffeine, which will reduce their effectiveness. When you do decide to use a Pre-Workout, you should use it around 30 minutes before a workout. You shouldn’t take it on a full stomach, so make sure you eat around 1-1.5 hours before your workout as well. The old formula of Cellucor C4 is easily one of the best Pre-Workouts for aerobic exercise. It’s going to increase your energy, focus, and performance, all 3 of the factors that you want from a Pre-Workout supplement. It contains a mix of vitamins, minerals, and erogenic ingredients that can help you immensely. 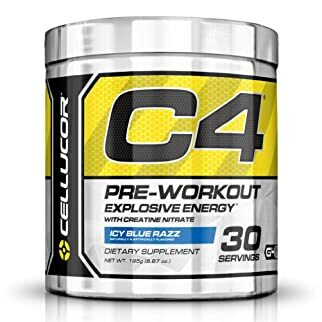 Cellucor C4 will boost your endurance, increase your fatigue resistance, improve your mental function and focus, increase your energy levels, and even improve your body composition by improving fat oxidation and lowering Cortisol. There are many flavors to choose from, which are rated well. Simply mix the powder in your desired amount of water and consume 30 minutes before your cardio to reap the benefits! Vitamin C, Niacin, Vitamin B6, Folic Acid, Vitamin B12, Calcium – vitamins and minerals that can provide multiple health benefits, but supplementation before a workout isn’t overly useful. Beta Alanine – boosts muscular and aerobic endurance. Creatine Nitrate – no notable benefits for aerobic endurance. It’s useful to build strength and muscle. It does improve your fatigue resistance overall though. Arginine AKG – oral supplementation doesn’t improve blood flow as it was once thought. N-Acetyl-L-Tyrosine – boosts mental function and focus. Caffeine – boosts energy and endurance, but tolerance is built up quickly. It’s also useful to boost fat oxidation, which is useful for body composition. Velvet Bean Extract – It can lower Cortisol, which is detrimental for your physique and is raised from aerobic exercise. It’s also useful to improve your mood. Theacrine – similar structure to Caffeine with similar benefits. It may also be better than Caffeine, as you build up a tolerance slower. Great array of ingredients that boost aerobic performance. Ingredients also support an improvement in body composition. Sheer N.O. only boosts one factor of your performance for aerobic exercise. It does this through an improvement in your blood flow. Increased blood flow improves your performance by delivering more oxygen throughout your body and increasing your energy in your muscles. This product is also good for heart. It’s not going to boost your energy or focus however, so that’s why it doesn’t stand up to Cellucor C4. 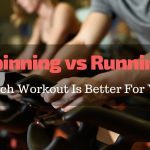 Still, improving your blood flow can improve your endurance levels, which is a huge factor in whether or not a Pre-Workout is good for cardio. This product should be used on training and non-training days to maximize your results. Take 4 capsules per serving, either before a workout on your training days or in the morning on your non-training days. Boosts blood flow, which improves performance for aerobic exercise. Contains anti-inflammatory and anti-oxidant support, which improves recovery. Capsules add more convenience than a powdered drink, no mixing. Doesn’t boost energy and focus. 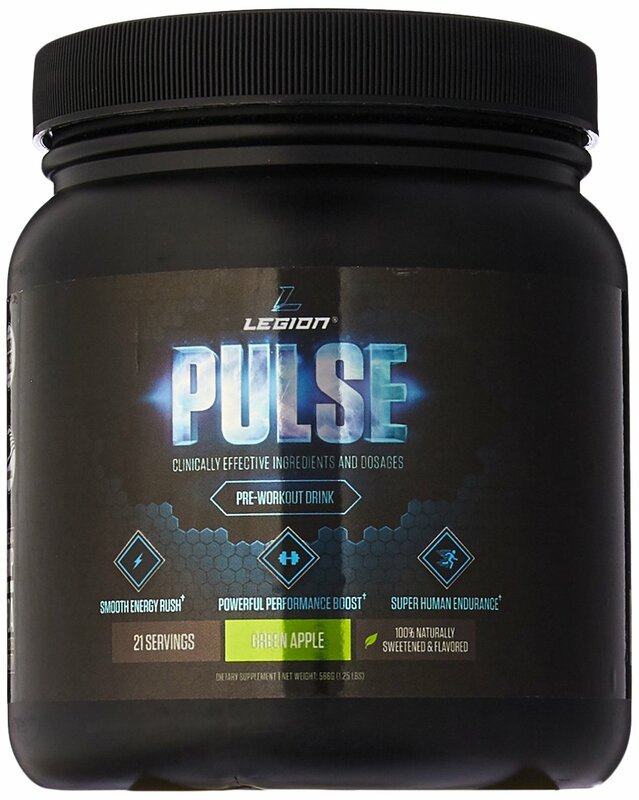 Legion Pulse is a good pre-workout for multiple purposes. It’s main use will probably be for strength training, as many of the ingredients revolve around that goal. However, it can also function as a high-quality cardio pre-workout. This product will contribute energy, focus, and performance results to your workouts! The ingredient profile will improve hydration, blood flow, endurance, exercise capacity, energy levels, and it will also lower ammonia in the blood, which is a substance that builds up with long bouts of exercise and causes fatigue. 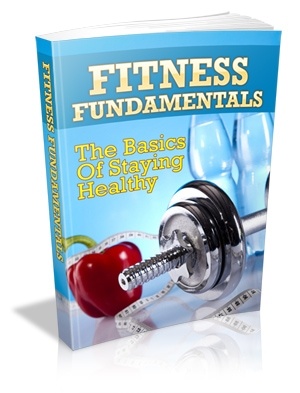 Lowering this will naturally help you sustain maximum performance over time. This means you can finish strong, which is hard for most people! To assess your tolerance, it’s best to try one scoop, in water, about 15-30 minutes before a cardio session. If this works well but you want better performance and energy levels, go with 2 scoops before a workout. A blend of electrolytes – boosts hydration, which can improve performance. Citrulline DL-Malate – boost endurance and blood flow. However, the dose is lower than what is considered optimal, based on research. Beta-Alanine – boosts muscular and aerobic endurance. Betaine – useful for strength and muscle gains, not a good ergogenic aid for cardio. L-Ornithine – reduces ammonia in the blood, which boosts performance in exercise that lasts more than 45 minutes. Taurine – improves blood flow and exercise capacity. L-Theanine – pairs well with Caffeine to reduce any jittery. Many ingredients that can improve performance. Can increase energy and focus levels as well. Dosage can be increased to increase effectiveness for those who have a high tolerance to certain ingredients. The ability to lower ammonia in the blood sustains performance over time, which makes this pre-workout very effective. Not the most budget friendly. Designed better for weight training than cardio, but it’ll still be effective. Decimus is another high-quality pre-workout that can boost energy, focus, and performance. It’s more budget friendly than Legion Pulse, but it’s not quite up to par with it in terms of quality. 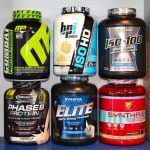 You’ll still see similar benefits as the the top 3 products, so it can still be a good choice for a cardio pre-workout. 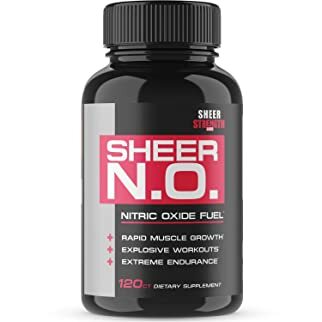 It contains proven ingredients to boost endurance, nitric oxide levels, resistance to fatigue, energy, fat oxidation, and mental focus. One thing to note is that it does contain Dendrobium extract. While Dendrobium naturally doesn’t contain stimulants, many supplement companies have listed this ingredient as a cover for a synthetic stimulant. Supplements including Dendrobium extract are known to cause positive drug tests for banned CNS stimulants. Simply mix your scoop in 4-6 oz of water and consume before a workout. This amount of water is lower than normal for a Pre-Workout, but it’s also the amount that will provide the best flavor. Good ingredients to boost energy, focus, and performance. Requires less water to drink, which is nice for those that can’t handle a full stomach of water before a workout. It can improve your performance and body composition, which is a win-win! Dendrobium isn’t a stimulant, but supplement companies sometimes list it as a cover for a stimulant. But it’s not 100% clear that this product does this. 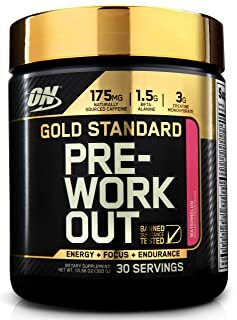 Gold Standard Pre-Workout is made by the Gold Standard brand in Sports Nutrition: Optimum Nutrition. It’s a good product that will help energy, focus, and endurance. This product is a good choice for strength workouts for sure. 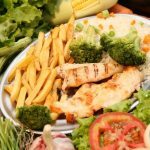 However, the ingredients can still contribute many benefits for cardio. It can boost endurance, blood flow, focus, and energy levels. It can also help boost fat loss, which is a bonus! It’s not the complete formula for cardio, but it’s still a good product that will improve your workouts. One scoop is recommended to assess your tolerance. If this dosage is well tolerated but you want more of a kick, you can maximize your results with 3 scoops around 20-30 minutes before a workout. A mix of vitamins and minerals that can improve health, but don’t really benefit from Pre-Workout dosing. Creatine – boosts fatigue resistance. Astragalus & Panax Notoginseng – used to increase bioavailability of other ingredients. Citrulline Malate – boost endurance and blood flow. However, the dose is lower than what is considered optimal, based on research. Acetyl L-Carnitine – improves focus and may improve fat loss if user is deficient. N-Acetyl L-Tyrosine – boosts mental function and focus. Citrus Bioflavonoids – no notable benefits. Good supply of effective ingredients. Multiple scoops can be used to increase effectiveness safely. 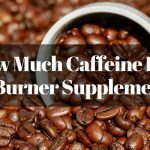 Caffeine builds up a tolerance quickly, so the energy boost may be limited over time. Better for strength training than cardio, but it will still be effective for energy and performance overall. The best Pre-Workout for Cardio is the one that can support energy, focus, and performance. The old formula of Cellucor C4 is the clear winner with those benefits. It simply outperforms the rest of the top 5 in each category, making it the clear choice to improve your workouts. Any of the top 5 products will improve your workouts though, so choose one and reap the benefits of improved aerobic workouts! A Pre-Workout for cardio isn’t necessary, but it’s useful to boost your energy levels and reduce the fatigue you fight throughout a workout. It can improve your mental function and focus as well, which is perfect to get in the zone. Nobody likes distractions during a workout! They can also boost performance through multiple pathways, like reducing ammonia build up, lactic acid formation, and more.